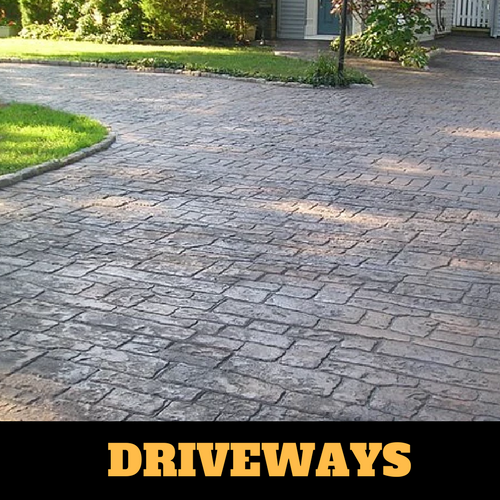 Concrete isn’t just for driveways and sidewalks anymore! 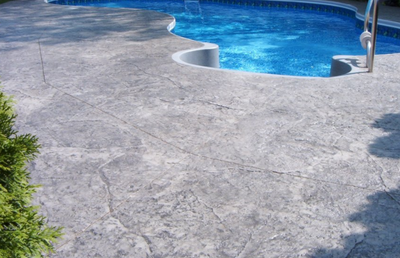 There are now so many new and fun ways to use the strength and stability of concrete and have it look amazing too! 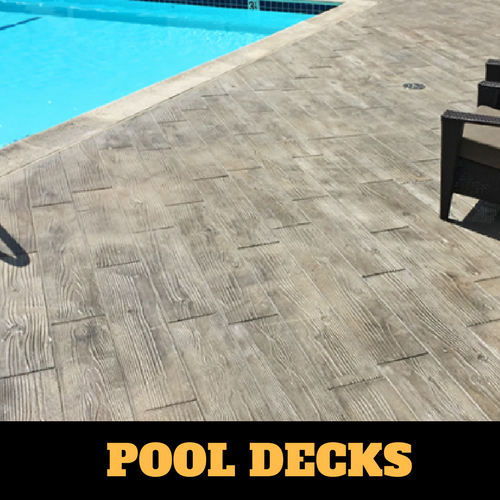 Instead of putting wood decking around your pool, that will inevitably rot and crack, consider instead a stamped concrete pool deck that will last year after year. 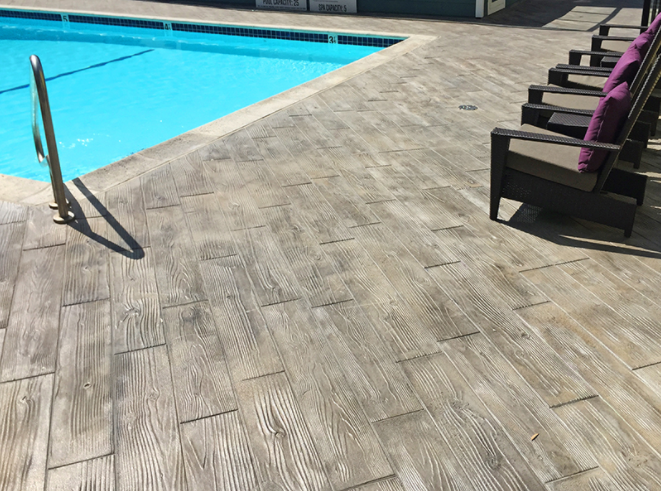 Even if you had your heart set on wood, no worries, we can stamp and color the concrete to look identical to a wooden deck and you won’t have to stain and re-stain every couple of years. 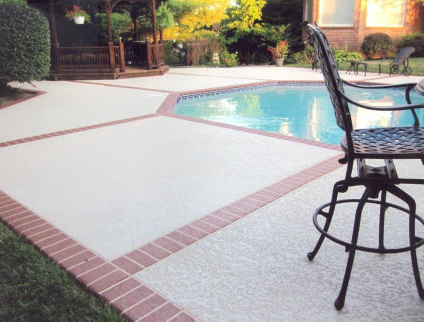 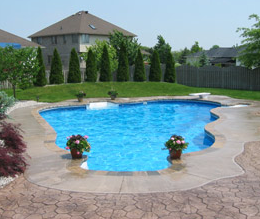 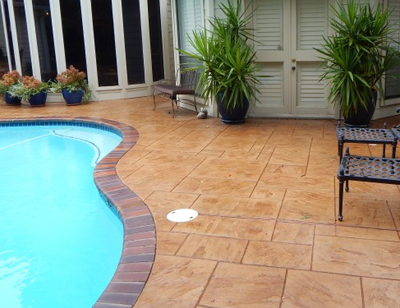 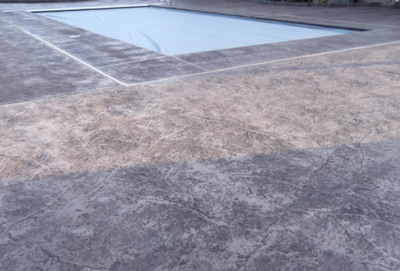 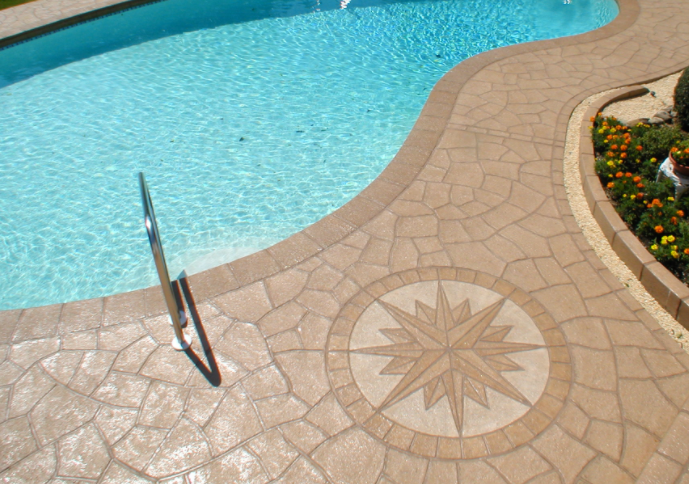 We are able to add texture to your pool deck for anti slip benefits and bonus… No slivers either! 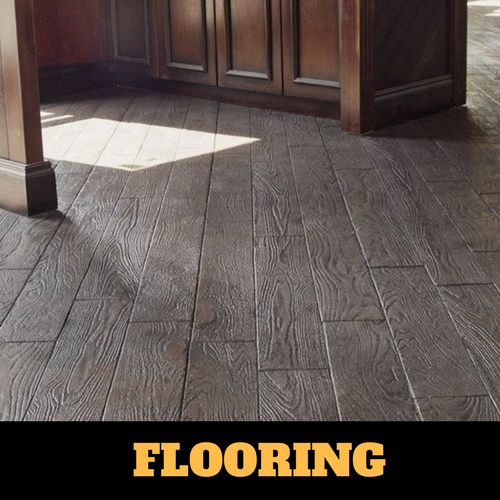 Of course the wood look is not your only option. 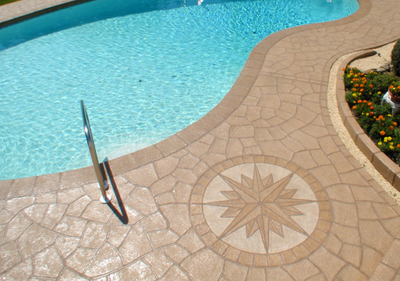 With all of our stamp and color combination options, you are able to create the exact theme and feel you want for your backyard pool. 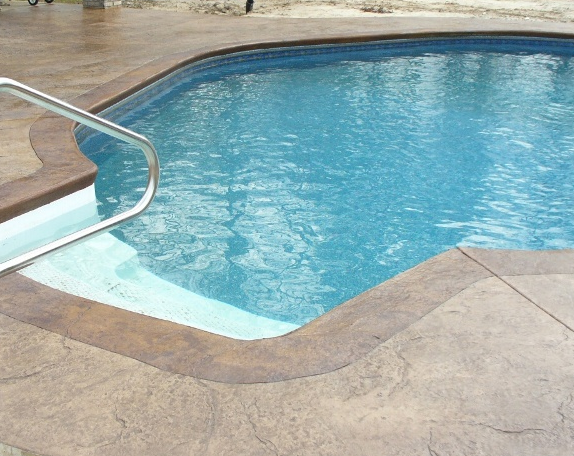 We are equipped to handle any size project, so if you just want a small area to get in and out of your pool, or if you want to extend the decking out to include an extra patio area, for your grill and table, we can do that. Also, adding a new, built in, concrete fire pit pool side is sure to make your summer a splash! 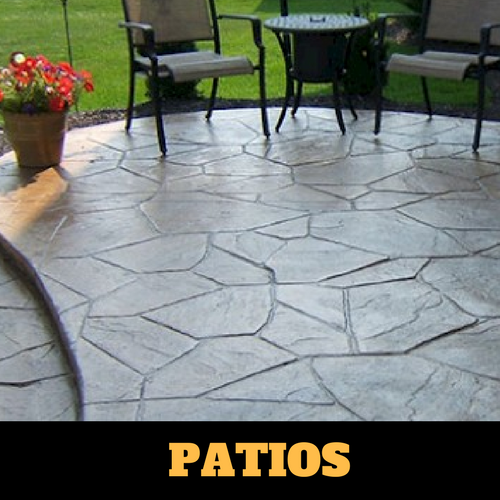 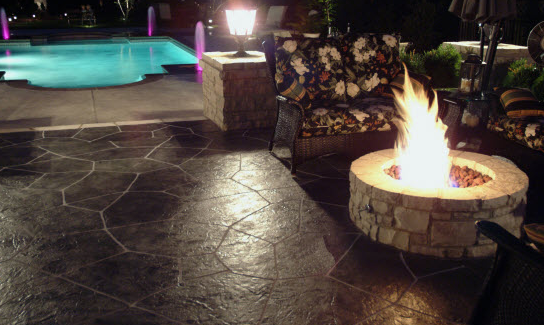 Call Stamped Concrete Kalamazoo for all of this and so much more!